Researchers are developing intelligent devices that predict and prevent deadly falls among the elderly by using machine learning that is supported by the cyberinfrastructure of the Pacific Research Platform over the California Research and Education Network. Wearable gadgets, such as smartwatches and smartphones, could be equipped with remote monitoring technology that detects balance impairments. “We’re developing a wearable, wireless sensor that predicts the likelihood that someone is going to fall,” said Christopher Paolini, assistant professor of electrical and computer engineering at San Diego State University, at the second National Research Platform workshop in Bozeman, Montana, in August. The conference aims to extend to a national scale the capacity of PRP, which supports a “big data freeway” with high-performance network interoperability to a wide range of researchers at institutions across the Pacific region. Falls are the leading cause of death by injury for older adults in the United States, and the problem is only expected to get worse as Baby Boomers age. One-third of American seniors ages 65 and older fall every year, according to the Centers for Disease Control and Prevention. Some seniors who incur a serious injury never fully recover and lose the ability to function independently for the rest of their lives. 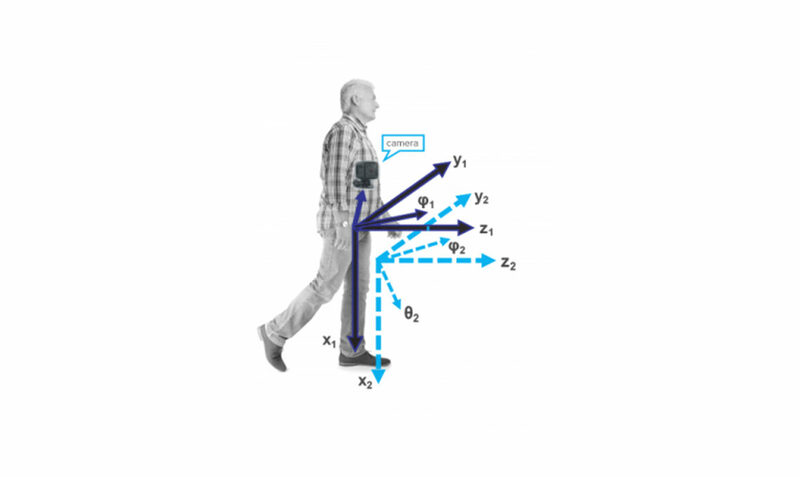 To gather data on imbalance factors that can be used to predict falls, Paolini and his colleagues have student volunteers simulate falls in a lab. Students are equipped with virtual reality headsets and 10 Noraxon body sensors that record data when they fall. The virtual reality headsets make the students believe they are walking on a straight path, and then researchers induce a fall, where the student falls onto a padded mat, so there is no injury involved. The body sensors on the student capture more than 100 features used to classify falls. The data collected is analyzed using clusters of graphics processing units (GPUs), connected computers that work together to perform rapid calculations. A cluster of 8x Nvidia V100 GPUs runs TensorFlow and is connected to the 100-Gbps high-performance PRP network. This automated machine learning allows Paolini’s team to create computer animations of skeletal models that depict and evaluate how a person moved when they fell. Similarly, a wearable device may be able to track gait consistencies and reveal impairments in a person’s balance that aren’t obvious during normal walking. Machine learning is a branch of artificial intelligence based on the idea that systems can learn from data, identify patterns, and make decisions with minimal human intervention. Most older adults who have fallen, or who feel unsteady on their feet, don’t tell their doctors about it, according to the CDC. Yet, there are often warning signs in advance, such as muscle weakness or gait imbalance. Fall prevention is top-of-mind for big tech, and predicting falls before they happen is the obvious next step. The Apple Watch Series 4 features the ability to detect when a user has fallen and to alert emergency services, as well as the ability to perform an electrocardiogram. Paolini’s research is among studies supported by the Cognitive Hardware and Software Ecosystem, Community Infrastructure project. CHASE-CI, which is an extension of PRP, was awarded a $1-million grant from the National Science Foundation to create a community cyberinfrastructure in support of machine-learning research. CHASE-CI will build a cloud of hundreds of affordable GPUs, networked together with a variety of neural network machines to facilitate the development of next-generation cognitive computing. The Pacific Research Platform supports a broad range of data-intensive scientific research, from cancer genomics to climate modeling. Adding machine learning capabilities to PRP is the next logical step in enabling distributed big-data application teams, according to Larry Smarr, principal investigator of PRP and director of the California Institute for Telecommunications and Information Technology (Calit2). “All of this community cyberinfrastructure is only possible because we can build on the world-class CENIC regional optical network,” Smarr said. CENIC’s network is the California Research and Education Network (CalREN), established in 1997. CENIC is one of many partners working on PRP to evolve the next generation of research and education networks that will support widely ranging scientific investigations — including fall prevention technology.